​This event is going to be the beginning of the shift you are looking for! I'll breathe power, tools and hope into you. You get a chance to focus on JUST breathing and taking it all in. When you return home you will be prepared to breathe healing into your children and your family. Bring your questions. Open your heart and mind to hear and take it in. 9/12 - We will meet so I can help you get a plan in place that will help cut down on the anxiety around leaving and being gone so that fall-out is at a minimum! 9/21 & 22 will be filled with time to rest, time to dig deep, time to play, time to ask your questions, time to fine tune your action plan, and so much more. Stacy has multiple training sessions planned along with other activities that will be incredible as well. FREE drop off back at the airports at 1pm. ​10/10- Post Travel Group Session - We will meet to make sure you have a plan to get everyone pulled back in to avoid the after fall-out and be able to hold on to what you gained! Second, we're going to pick you up at the airport so you don't have to rent a car and drive the 2 hour trip to the cottage. Third, we're going to spend 2 whole days together really connecting. I want to give you all of my knowledge, my experience and all of my hope. We're going to zero in and focus on where things can change and exactly how to create that change. It's going to be about picking my brain. It's going to be about hashing it out until it's crystal clear. We are going to remember and recapture our "why" and in doing so - find ourselves again. I'm going to teach you how to live joyfully right next to the challenges. BREATHE is going to create energy, clarity, new vision, mastery, etc., etc.. Shift, change, break-through, peace, joy, and healing! I can't wait to spend this time with you! ​Fourth, we'll get you back to the airport. Finally, after we get home we will be meeting via Zoom to check in. We'll talk strategies and tools to use to pull everyone back in emotionally. What to say. What to do. Step by step. You'll be able to hang on to all of the breathing you did. You'll stay filled up. We will be staying in a beautiful cottage with 100 feet of gorgeous sugar sand beach in amongst the tall pines of MN. There is plenty of room to spread out and have some space in this 3200 sq ft. cottage. 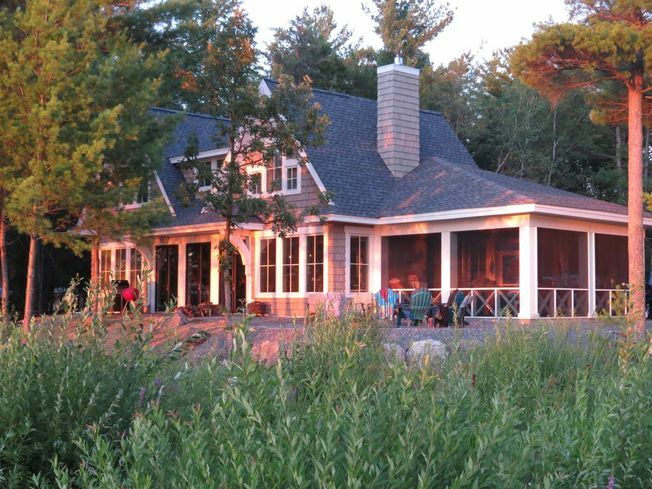 It's been described as the 'Hamptons meets the Northwoods'. ​Lots of comfort and inspiration. We have 2 Private bedrooms, one double and one that sleeps 4 in queens and a twin. I am SO excited. Can't wait to spend this time with you at BREATHE! Please click on the circle to make your choice of accommodations and then scroll down and click Installment Plan to make your non-refundable deposit today and the balance in 3 additional monthly payments. Please choose accommodations and click Buy Now to pay in full. **Participation in BREATHE is limited to active members of the Intentional Parent Group ONLY. **Your $200.00 or 350.00 deposit is non-refundable.